Last week I visited the websites at the university and seminary where I did my undergraduate and graduate studies in Bible and Divinity. I was shock to find that the tuition of my under graduate university had risen from $46.00 per credit hour when I finished there in 1976 to (as of fall 2012) $850.00 per credit hour or over a whopping 1800% increase! Accordingly, if I had attended this four years institution today as a dorm student (not counting books and extras), a four year degree in Bible would now cost me over $120,000.00. Secondly, for me to continue on with my postgraduate degree from seminary, three additional years would now add an additional $54,612 or for a total of over $174,612 for seven years of study! Universities and seminaries accredited by the Association of Theological Schools in the United States and Canada (ATS) (which certifies all major schools in the United Sates and Canada meet certain objective academic standards) have tuitions ranging from $2,180.00 a semester for a Southern Baptist seminary to a high tuition of $14,241 per quarter for an MA or PhD in Bible or theology from the University of Chicago! In light of these facts, for today’s average religion major to take out either a government loan or a private loan and then to walk away from $100,000 up to $300,000 worth of debt is both professional and financial suicide! 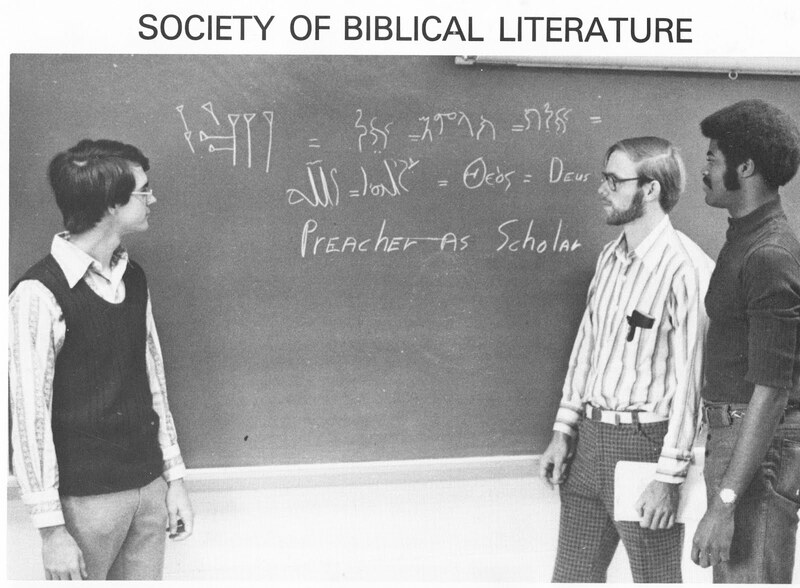 Not only that, but there is little chance that an agnostic – much less an atheist – would invest either the time or amount of money to study in the fields of Bible and Theology on the graduate level only to use the information they learned to attack their educational investment no matter how just they deemed their casue. Moreover, I doubt if any seminary would admit a known non-believer as most applicants would be rejected by simply being truthful on the entrance applications or during the denominational interview process. Then too, why would they waste all this time and money over something they knew was false? More realistically, most graduate schools of religion would find it highly counterproductive to educate anyone who will use this very education to attack the ideals that keep these professional schools in business. By this I meant that a rogue scholar pushing truthful, but unorthodox facts could not only damage any future pool of pre-professional students from which graduate schools of religion need to depend on as a source of income, but (more damaging) these rogue graduates can cause confusion, doubt and disbelief in the laity which make up the very matrix of a doctrinal system that has been profitable for hundreds to thousands of years. In conclusion, I predict that there will be a sharp drop in the upcoming years of the number of professionally educated people who have accrued huge student debts with degrees in religious fields and who can afford to basically throw out the window a potentially promising future as a pastor or a divinity school professor simply to expose objective truths (no mater how right) which would undermine their years of study leaving them with little to no security or future from a profession and income they had invested heavily in (and worse, without security for their family)!